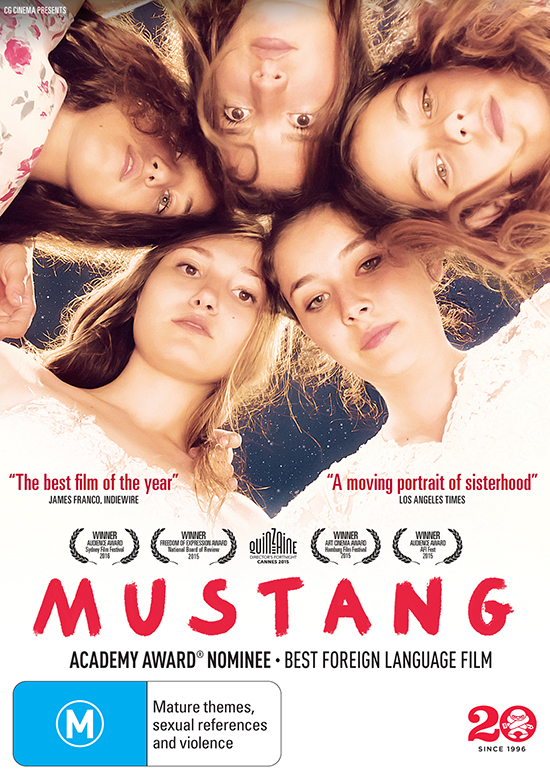 Turkish-French film director Deniz Gamze Ergüven’s Mustang, her first film, compassionately portrays the plight of five young orphaned sisters living in a small conservative village. When seen riding the shoulders of boys from their school amid the waves on a local beach, their grandmother, shocked by the physical contact, betrays them to their uncle who takes increasingly stern measures to constrain the girls, whose energy and humour, and escape tactics, keep them momentarily buoyant. Worse is to come in this indictment of gender inequality, sexual abuse and rising fundamentalism in Turkey. As the older girls fall prey to depression and arranged marriages, the younger ones maintain resistance. Beautifully filmed and finely directed and acted, Mustang balances its increasing tension and claustrophobia with the youngest girl’s spirited sense of possibility. Email us at giveaways [at] realtimearts.net with your name, postal address and phone number to be in the running. Include ‘Giveaway’ and the title of the item in the subject line.